How can former enemies learn to live together in peaceful political association? What enables them to put aside traditional hatreds and forgo revenge despite grievous harms suffered at each other's hands? 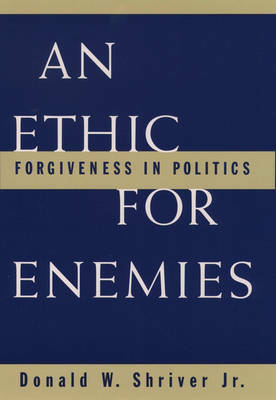 Shriver aims to rescue the concept of forgiveness from the solely personal and religious realms to which it has long been delegated, and to demonstrate its relevance, indeed its indispensability, to political life.